A Bovis Homes site manager has been selected from over 16,000 others across the country to win one of the house building industry's most prestigious awards. 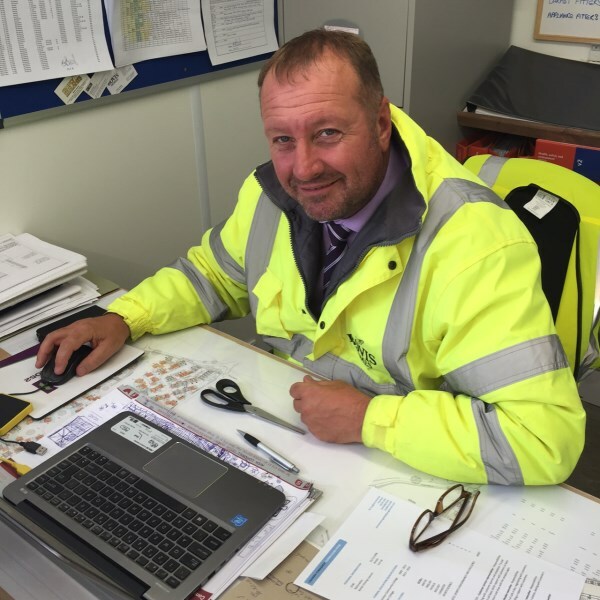 Stuart Beesley, who works at the new Kings Reach development in Ottery St Mary, has been recognised as one of the best site managers in the country after receiving a National House Building Council's (NHBC) Pride in the Job award. Stuart, who is in charge of construction at the Bovis Homes development, won the Quality Award in the large house builder category. To win the accolade, the development and the site manager were judged by NHBC specialists, with every stage of the build inspected, ensuring meticulous and consistent attention to detail. Stuart also had to demonstrate excellent leadership, technical expertise and robust health and safety processes. South West Build Director, Mark Sexton, said: "This award is testimony to all the hard work and dedication which Stuart and the team have shown throughout the build at Kings Reach. I would like to personally congratulate them on behalf of Bovis Homes for this magnificent achievement, which is great news for the site and region as a whole." Situated in the village of Ottery St Mary, 12 miles from Exeter, Kings Reach is a beautiful location set in the countryside with play areas and large amounts of public open space. It offers a broad mix of two, three, four, five and six bedroom homes with 165 properties in total. With more than 30 homes already sold, many residents are now enjoying life in this new part of the community. Mark continues: "Co-ordinating the work on a building site is a challenging task and the team have done a fantastic job to ensure that we continue to produce high quality homes, safely and on time." Stuart is now automatically entered into the next stage of the NHBC awards, the regional 'Seal of Excellence Awards' which will be presented in the autumn at a series of ceremonies.